There are several ways in which fruit can be treated before drying in order to help it better preserve its appearance and keeping qualities after drying. Pretreatments prevent fruits from darkening. Many light-coloured fruits, such as apples, darken rapidly when cut and exposed to air. If not pretreated, these fruits will continue to darken after they are dried.” Andress, Elizabeth L. and Judy A. Harrison. So Easy to Preserve. University of Georgia Cooperative Extension. Bulletin 989. Sixth Edition. 2014. Page 337. Note that treating fruit not only helps lessen darkening during the drying process, but also can help to lessen or prevent further darkening during storage. Among the methods used are steam blanching, syrup blanching, and dipping in various solutions. Steam blanching is one of the most natural treatments, in that it only involves heat and water, but it’s not generally a preferred one as it does have a larger impact on the taste and texture of the produce than other methods. So Easy To Preserve says, “Steam blanching also helps retain color and slow oxidation. However, the flavor and texture of the fruit are changed.” So Easy To Preserve. Page 340. It’s only suggested as an option for a small handful of fruits, not all. Fruits for which So Easy To Preserve lists steam blanching times are apples, apricots, bananas, nectarines, peaches, and pears. 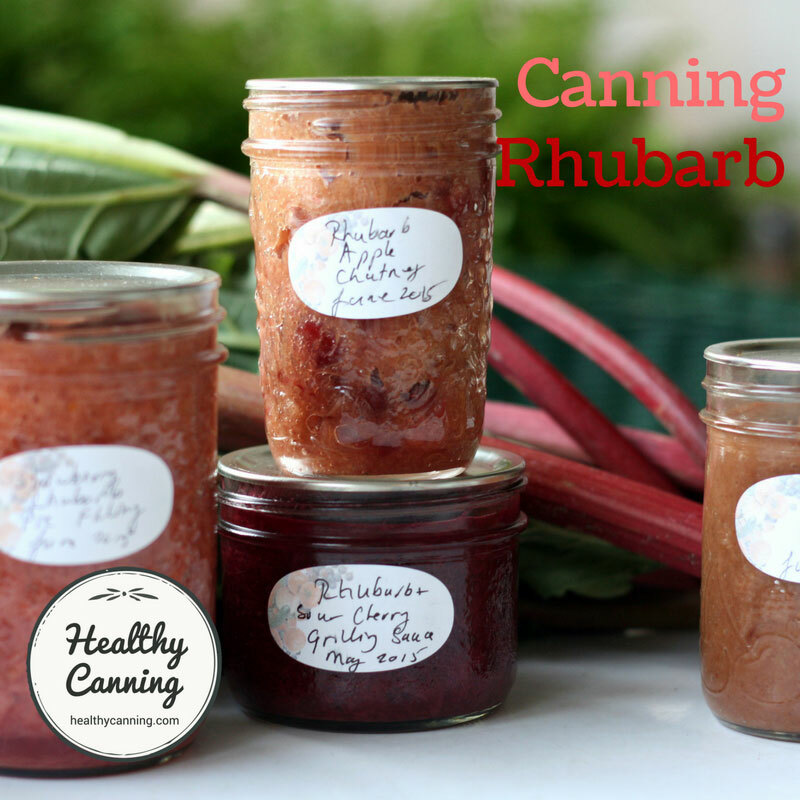 Preserve It Naturally adds rhubarb to the list. For specific times and directions for specific fruits, see: Blanching times for drying fruit. Syrup blanching is semi-candying fruit by simmering it in a light sugar syrup. It results in soft, brightly-coloured fruit similar to what you might buy commercially. Less sugar is used than would be for candying, so the product is not as firm as candied fruit. Syrup blanching is never used with vegetables; only fruit. The sugar will cause the fruit to be sweeter, and higher in calories, than it would be using some other treatments. Blanching fruit in syrup helps it retain color fairly well during drying and storage. The resulting product is similar to candied fruit. Fruits that can be syrup blanched include: apples, apricots, figs, nectarines, peaches, pears, plums, and prunes.” So Easy To Preserve. Page 340. Combine 200 g sugar (1 cup / 8 oz), 250 ml (1 cup / 8 oz) light corn syrup and 500 ml (2 cups / 16 oz) water in a pot. Bring to a boil. Add 500 g (1 pound) of prepared fruit and simmer 10 minutes. Remove from heat and let fruit stand in hot syrup for 30 minutes. Lift fruit out of syrup, rinse lightly in cold water, drain on paper towels and place on dryer trays.” So Easy To Preserve. Page 340. Preserve It Naturally cautions not to let the fruit stand in the syrup longer than the 30 minutes, as it can become mushy otherwise. It also says that rinsing afterward is optional, and notes that “the syrup can be saved for reuse until the next batch.” Excalibur. Preserve It Naturally. Sacramento, California. 4th edition, 2012. Page 24. Utah State Extension notes that syrup blanching “will increase the drying time. ” Brennand, Charlotte P. Home Drying of Food. Utah State Extension. 1994. Page 9. 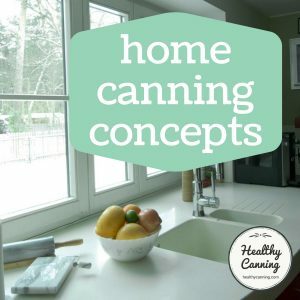 Using canned fruits is a quick way to prepare fruit for drying. Drain the syrup, rinse the fruit, cut it into ½ inch [2 cm] slices, and then dry as usual. Drying will take longer than for fresh fruit, because the canned fruit will contain absorbed syrup. Dried canned fruit resembles candied fruit and can be used in similar ways.” Swanson, Marilyn A. et al. Drying Fruits and Vegetables. Pacific Northwest Extension. PNW 397. Third edition, 2009. Page 11. Sulfuring involves smoking the fruit with sulfur fumes. Sublimed sulfur is ignited and burned in an enclosed box with the fruit. The sulfur fumes penetrate the fruit and act as a pretreatment by retarding spoilage and darkening of the fruit. The sulfur fumes also reduce the loss of vitamins A and C. Fruits must be sulfured out-of-doors where there is adequate air circulation. (For more information contact your county Extension office. )…..” So Easy To Preserve. Pp 337 – 338. SULFURING … must be done outdoors, away from the house and livestock, pets, or valuable plant life. Use slatted wood or plastic (not metal) trays. The trays should be placed 3 to 4 inches (7 to 10 cm) above ground level, stacking trays 1 1/2 inches (4 cm) apart for plenty of air circulation. Cover with a large cardboard box, cutting a 6-inch (15 cm) slash on bottom of box and a 6-inch (15 cm) door on one side. In a one-pound coffee can or disposable pie pan, put 1 tablespoon flowers of sulfur for every pound of fruit. Flowers of sulfur can be purchased in a drug store or feed store. Do not use garden dusting sulfur. Place container of flowers of sulfur through 6-inch door, under the trays. Light the sulfur with a match, taking care not to burn yourself or leave the match in the burning container…. When the fruit has been sulfured….. the fruit will glisten and a small amount of juice is collected in the cavities.” Brown, Darlene G. and Kenneth L. Brown. Drying for Fun and Health. Xlibris. 2007. …any fruit that has been sulfured must be dried outdoors in the sun. The odor of the sulfur is too overpowering for indoor use in a dehydrator or oven.” Hobson, Phyllis. Making and Using Dried Foods. North Adams, MA: Storey Publishing. 1994. Page 18. Preserve It Naturally says, “Sulfuring: This pretreatment is not recommended for use with a dehydrator indoors; the fumes produced are very irritating and may be harmful to one’s health.” Preserve It Naturally. Page 24. Dipping involves briefly immersing washed, peeled and sliced fruit (as necessary) in a suitable liquid. It helps many types of fruit retain a lighter colour after drying. Dipping is a pretreatment used to prevent fruits such as apples, bananas, peaches, and pears from oxidizing. Oxidation is the process that causes fruits to turn brown and lose some vitamins A and C when exposed to the oxygen in air. Common antioxidants are Ball Fruit-Fresh Produce Protector, lemon or lime juice, and ascorbic acid.” Ball Blue Book. Muncie, Indiana: Healthmark LLC / Jarden Home Brands. Edition 37. 2014. Page 162. Dipping solutions commonly used include juices such as lemon, lime or pineapple, a honey, sodium bisulfite, or vitamin C (ascorbic acid) solution, or a solution made from a commercial product such as Ball / Bernardin Fruit Fresh. Anti-oxidants such as lemon juice, pineapple juice, lime juice, honey, crystalline ascorbic acid (vitamin C), sodium bisulfite, and commercial products containing ascorbic acid (vitamin C) and sugar are effective dipping solutions. 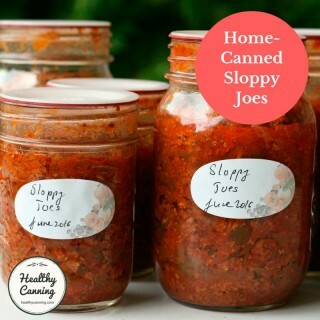 When using a dip, drain treated food, rinse thoroughly, and blot off any excess moisture with paper toweling prior to placing the food in the dehydrator.” Preserve It Naturally. Page 22. Sodium bisulfite is a white crystalline powder. You dissolve the powder in water using package directions, and dip or soak the produce in it. That public health advisory being noted, it can be one of the best treatments for food that is to be dried, both in terms of cost and effectiveness. For long-term storage of dried fruit, sulfuring or using a sulfite dip are the most effective pretreatments. However, sulfites found in the food after either of these treatments have been found to cause asthmatic reactions in a small portion of the asthmatic population. Thus, some people may want to use the alternative shorter-term pretreatments. 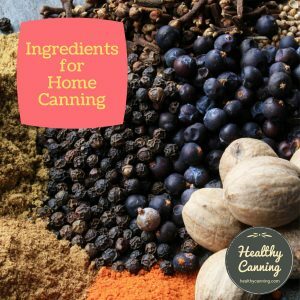 If home-dried foods are eaten within a short time, there may be little difference in the long and short-term pretreatments…. Either sodium bisulfite, sodium sulfite or sodium meta-bisulfite that are USP (food grade) or reagent grade (pure) can be used [for dips]. To locate these, check with your local drugstores or hobby shops where wine-making supplies are sold.” So Easy To Preserve. Pp 337 – 338. This compound, when mixed with water to obtain a liquid form of sulfur, is the most effective anti-oxidant — and it’s easy to use. For the cost-conscious food dryer, you’ll be pleased to know that bisulfite is considerably cheaper to use than either ascorbic acid or citric acid. Use only a food-safe grade of sodium bisulfite that is made for dehydrator use. Note: if subject has allergic reaction to sulfur, check with your physician before using sodium bisulfite as a dip.” Preserve It Naturally. Page 22. Again, even though reputable sources acknowledge it’s the best treatment in many ways, note that they all also advise that that must be weighed against whether your intended food “audience” would react adversely to it. If you do use sulfites, it could be a good idea to label your jars accordingly. Sulfite dips can be prepared and used in the kitchen and sulfite-dipped fruits can be dried indoors. There are several disadvantages of sulfite dips. Penetration of sulfite may be uneven, resulting in uneven color retention. The loss of water-soluble nutrients is greater than in sulfured fruit. And, finally, the fruit may absorb water, which will result in a longer drying time.” How to Dry Foods at Home. University of Missouri Extension. GH1563. March 2010. Page 1. Dissolve 3/4 to 1 1/2 teaspoons sodium bisulfite per quart [litre] of water. (If using sodium sulfite, use 1/2 to 3 teaspoons. If using sodium meta-bisulfite, use 1 to 2 tablespoons.) Place the prepared fruit in the mixture and soak 5 minutes for slices, 15 minutes for halves. Remove fruit, rinse lightly under cold water, and place on drying trays. (This solution can be used only once. Make a new one for the next batch. )” So Easy To Preserve. Page 338. 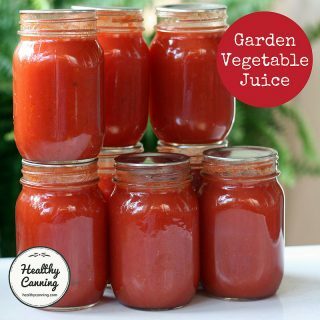 Preserve It Naturally gives these usage directions: add 1 teaspoon to 1 litre (quart) of cold water. Stir till dissolved. Soak product for 2 minutes. Remove, rinse lightly, drain, place produce on drying trays. Make fresh batch of solution for next round of produce. ‘Don’t save leftover solution for the next load because it begins to lose its effectiveness as soon as it is exposed to air.’ Preserve It Naturally. Page 22. While sulfured fruit can only be dried outdoors, it’s fine to dry sulfite-dipped fruit indoors. The University of Georgia says, “Sulfited foods can be dried indoors or outdoors. Preserving Food: Drying Fruits and Vegetables. Harrison, Judy A. and Elizabeth L. Andress. University of Georgia Cooperative Extension Service. FDNS-E-43-10. July 2000. Page 3. The University of Missouri Extension, however, cautions that “sulfite fumes will be given off during the drying process”, so those who are sensitive may not wish to be around it. How to Dry Foods at Home. Page 2. Sodium bisulfite can also be used to sulfate fruit. Sulfating employs stronger concentrations and longer times to reduce oxidation ever further.” Preserve It Naturally. Page 22. To do this, use 1 1/2 teaspoons per litre (quart) of water (1 1/2 to 2 tablespoons per 1 gallon / 4 litres). Soak fruit slices for 5 minutes, halved fruits for 15 minutes. Remove, rinse lightly, drain, place produce on drying trays. Per litre (quart), you can treat 2 kg (5 lbs) of fruit. After treatment, rinse the fruit lightly with cool water. Ascorbic acid is pure vitamin C. It can come in powdered form, or in tablet form. Dissolve 1 tablespoon ascorbic acid in 1 quart [litre] of water. Hold produce in solution no longer than 30 minutes; drain before drying.” Ball Blue Book. Page 162. Directions from Preserve It Naturally are similar. They say to add 1 tablespoon ascorbic acid powder to 1 litre (quart) of cold water (1 teaspoon of powder or 1 teaspoon of crushed 400 to 500 mg tablets into 500 ml / 2 cups / 16 oz of cold water. Put food as you prep it directly into the dip. When you have a few handfuls in the dip, let it stand 2 to 3 minutes, then remove with slotted spoon or a spider. Soak produce no more than 30 minutes. Drain well. Different sources give ascorbic acid quantities to make up different amounts of solution. Note — just to make you sure remain confused, the Pacific NorthWest Extension services calls for using half the amount of ascorbic acid: 1/2 teaspoon per quart / litre of water. “To prepare an ascorbic acid solution for prevention of browning, combine 1/2 teaspoon of ascorbic acid crystals, or three crushed, 500-milligram tablets of vitamin C, with 1 quart of water. Place the cut fruit in the ascorbic acid solution for about 5 minutes. Approximately 1 quart of solution will treat 8 cups.” Drying Fruits and Vegetables. Third edition, 2009. Page 7. After using the solution twice, Preserve It Naturally recommends refreshing it by adding the same amount of ascorbic acid powder back in. Utah State Extension recommends far less will do they trick: they say “After every two batches of fruit, add more ascorbic acid to the mixture….. If using pure ascorbic acid, use 1 level teaspoon per gallon [4 litres] of water.” Washburn, Carolyn and Christine Jensen. 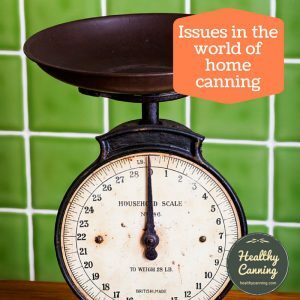 Pretreatments to Prevent Darkening of Fruits Prior to Canning or Dehydrating. Utah State Extension. June 2017. Page 1. Note that neither Ball, Preserve It Naturally, nor So Easy to Preserve suggesting rinsing the fruit afterward. Buy 500-milligram tablets; crush and dissolve six tablets per gallon (4 litres) of water as a treatment solution. Fillers in the tablets may result in white flecks, but they are not harmful.” Washburn, Carolyn and Christine Jensen. 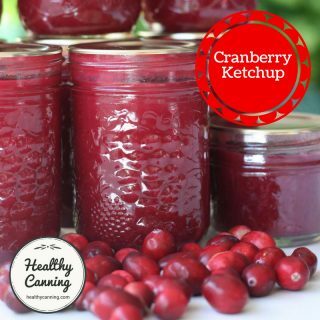 Pretreatments to Prevent Darkening of Fruits Prior to Canning or Dehydrating. Utah State Extension. June 2017. Page 1. The Pacific NorthWest Extension notes a nutritional advantage to using an ascorbic acid dip: “An ascorbic acid dip also increases the vitamin C content of the dried fruit.” Drying Fruits and Vegetables. Page 7. Ascorbic acid mixtures refer to bottled mixes such as Fruit Fresh from Ball and Bernardin. After using the solution twice, refresh it by adding the same amount of Fruit Fresh back in. Using Fruit Fresh to treat fruit before drying is the treatment method most often suggested in the Ball Blue Book (2014) and in the Ball All New Book (2016). Note that for mixtures of both ascorbic acid, and ascorbic acid mixtures, the University of Missouri Extension cautions: “Hold the fruit in solution no longer than one hour, because the fruit will absorb moisture and it will take longer for drying to be complete.” How to Dry Foods at Home. Page 1. So Easy To Preserve does not suggest it as a treatment; the Ball Blue Book and Preserve It Naturally mention it. So Easy To Preserve says, “A fruit juice that is high in vitamin C can also be used as a pretreatment, although it might not be as effective as pure ascorbic acid. Juices high in vitamin C include orange, lemon, pineapple, grape and cranberry. Be sure to use fruit juice and not fruit drinks. Each juice adds its own color and flavor to the fruit. Some bottled apple juice is now fortified with extra vitamin C and works well to prevent darkening of apple slices without adding another fruit flavor. 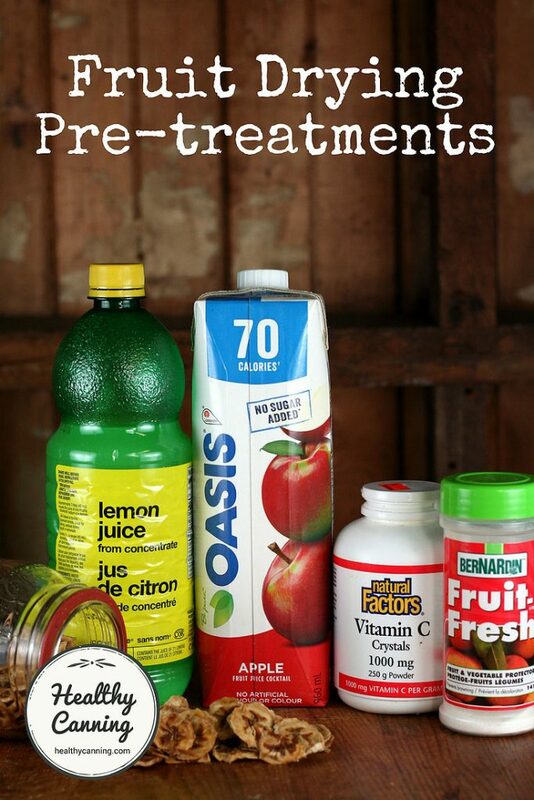 You may find other bottled juices with added vitamin C content that will work well also.” So Easy To Preserve. Page 339. Preserve It Naturally says, “Juice is only 1/6th as effective as pure ascorbic acid and has the disadvantage of adding a tart taste to food… unsweetened pineapple juice usually imparts less flavor to the fruit than either lemon or lime juices.” Preserve It Naturally. Page 23. So Easy To Preserve adds apple, grape and cranberry juice to the list of acceptable juices, and, reminds you to use all juices pure, undiluted. They also give a handy tip of how to avoid wasting the juice! The authors give the following directions: “Place enough juice to cover the fruit in a bowl. Add cut fruit. Soak 3 to 5 minutes. This solution may be used twice, before being replaced. (The used juice can be consumed.)”. So Easy To Preserve. Page 339. Utah State Extension says, “Possible juices include orange, grapefruit, lemon, lime, or pineapple juice.” Home Drying of Food. Page 9. Honey diluted with water can also be used as a prep dip for fruit to be dried. Note that the honey dip solutions typically suggested aren’t actually pure honey. They are honey mixed with refined sugar, and water. The honey and sugar will cause the fruit — to some people’s tastes– to be sweeter, as well as higher in calories, than it would be using some other treatments. Preserve It Naturally says, “Fruit dipped in honey will be noticeably sweeter. 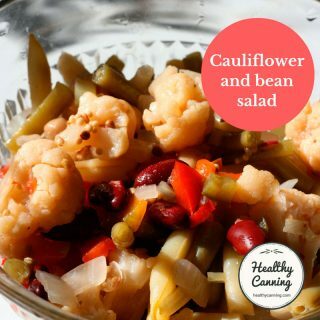 It does have more calories so beware if you’re watching your waistline.” Preserve It Naturally. Page 23. So Easy To Preserve says, “Many store-bought dried fruits have been dipped in a honey solution. A similar dip can be made at home. Honey dipped fruit is much higher in calories.” So Easy To Preserve. Page 340. Phyllis Hobson, author of Making and Using Dried Foods, agrees about the added calories, but doesn’t agree about the sweeter taste: “Surprisingly, honey-dipped fruits do not seem to be any sweeter than fruits dried without dipping…” Making and Using Dried Foods. Page 18. Preserve It Naturally gives the following directions for making a honey dip: add 200 g sugar (1 cup / 8 oz) to 750 ml (3 cups / 24 oz) of hot water. Stir until dissolved, and set aside to cool until lukewarm. Then stir in 250 ml (1 cup / 8 oz) of honey. Add produce in small amounts, remove with strainer spoon or spider, drain well. Preserve It Naturally. Page 23. So Easy To Preserve gives directions for a smaller batch: “Mix 100 g sugar (1/2 cup / 4 oz) with 350 ml (1 1/2 cups / 12 oz) boiling water. Cool to lukewarm and add 125 ml (1/2 / 4 oz) cup honey. Place fruit in dip and soak 3 to 5 minutes. Remove fruit, drain well and place on dryer trays.” So Easy To Preserve. Page 340. Honey Dip: Mix 1 part honey to 4 parts water. Soak fruit 5 minutes, then drain.” Austin, Joanne, et al. Dehydrating. WSU Master Food Preservers. Washington State University Extension. Skagit County. October 2007. Honey lemon dip: Slightly heat and dissolve 1/2 cup (125 ml / 4 oz) of honey with the juice of one lemon in 1/2 cup (125 ml / 4 oz) of water. Dip the fruit, then spread on drying trays.” Home Drying of Food. Page 9. Utah State Extension says, “Saline dip: Dip sliced fresh produce in salt water solution (4–6 Tbsp. salt to 1 gal. / 4 litres water) for 10 min.” Home Drying of Food. Page 9. Salt Water Dip: Dissolve 6 tablespoons flaked pickling salt in 1 gallon (4 litres) of lukewarm water. To keep fruit from darkening, slice or chop it directly into the water. Allow it to soak no more than 5 minutes or the fruit will absorb too much water and acquire a salty taste. Drain before loading drying trays. 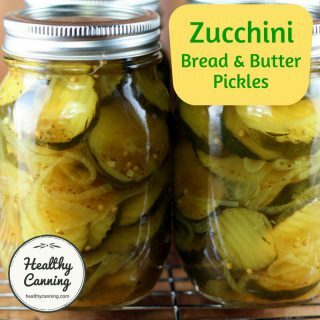 This is not recommended for a low-sodium diet.” Making and Using Dried Foods. Page 17. Procedure: Mix 4 tablespoons of salt and 2 tablespoons of vinegar in 1 gallon [4 litres] of water. Drop the cut fruit into the solution as you prepare it for drying.” Sivanandan, Litha. Home Dried Fruit. West Virginia University Extension Service. FH17-133. May 2017. Page 3. Pectin Dip: Pectin is used… for drying berries, cherries and peaches. 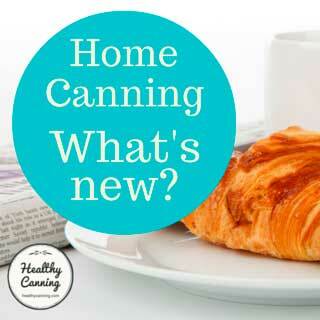 With pectin, less sugar is needed and fresh fruit flavor, color, and texture is retained. Pectin syrups are prepared as follows: Combine 1 box of powdered pectin with 1 cup (250 ml / 8 oz) of water in a saucepan and stir and boil for 1 minute. Stir in 1/2 cup (100 g / 4 oz) granulated sugar and dissolve. Remove the saucepan from the heat and add cold water to make 2 cups (500 ml / 16 oz) of syrup. Chill. Put cleaned and prepared fruit in a 4 to 6 quart / litre bowl and add enough pectin syrup to glaze the fruit with a thin film. Gently fold fruit to coat each piece with the syrup. Drain well before loading the drying trays.” Making and Using Dried Foods. Page 17. Powdered pectin … can be used to prepare a thin syrup that is used as a dip before drying apricots, bananas, blueberries, cherries, huckleberries, nectarines, peaches, and strawberries. Fruits treated this way retain more of their fresh flavor, color and texture. To prepare the pectin syrup, stir together 1 box (1.75 oz / 50 g ) of powdered pectin and 1 cup (250 ml / 8 oz) of water in a saucepan. Heat to boiling over medium heat and boil for 1 minute, stirring constantly. Add 1/2 cup (100 g / 4 oz) sugar; continue to cook, stirring constantly, until the sugar has dissolved, 30 to 45 seconds longer. Remove from the heat and stir in 1 cup (250 ml / 8 oz) cold water; stir for about 1 minute longer. Cool completely. 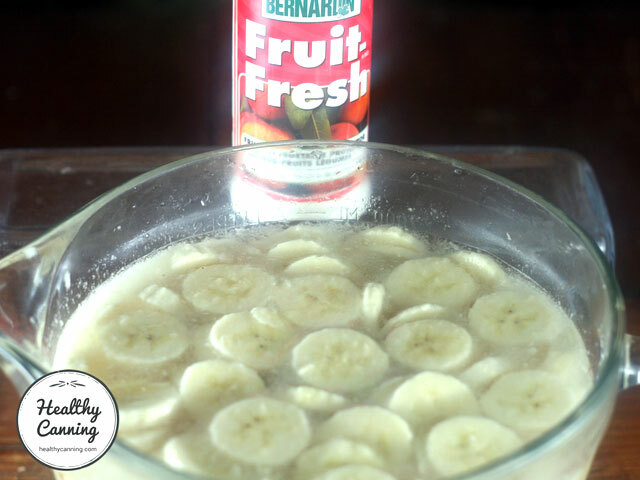 Put cleaned and prepared fruit in a mixing bowl and add enough pectin syrup to glaze the fruit with a thin film. Gently stir the fruit to coat each piece with the syrup. Drain well and place on drying trays (or proceed as directed.) Store unused syrup in the refrigerator until needed. This amount of syrup treats up to 5 pounds (2 kg) of fruit.” Marrone, Teresa. The Beginner’s Guide to Making and Using Dried Foods. North Adams, MA: Storey Publishing. 2014. Page 25. Research studies have shown that pretreating with an acidic solution or sodium metabisulfite dip also enhances the destruction of potentially harmful bacteria during drying, including Escherichia coli O157:H7, Salmonella species and Listeria monocytogenes.” Kendall, P. and J. Sofos. Drying Fruits. Colorado State Extension. Fact Sheet No. 9.309. 2012. Page 1. The ascorbic acid, citric acid, and metabisulfite dips can also enhance the destruction of potentially hazardous bacteria during drying. Drying Fruits and Vegetables. Page 6. There’s not a lot of solid and seemingly-reliable information out there yet as to exactly what you would need to do. The Pacific Northwest Extension says that if you are using ascorbic acid as your dip, in order for it to be a more effective anti-bacterial, you need to up the amount of ascorbic acid in your solution. The authors write that “a more concentrated ascorbic acid solution is required to help destroy pathogens during drying.” They suggest 2 2/3 tablespoons (8 teaspoons) per litre / quart of water. They don’t say, however, what other impacts that might have — for instance on taste. [Ed: we note out of curiosity, however, as covered above in the Ascorbic Acid section, these same authors only call for 1/2 teaspoon per quart / litre of water in a normal dip, whereas all others call for 1 tablespoon per quart / litre, so their normal solution would be far weaker than others anyway.] Drying Fruits and Vegetables. Page 7. Perhaps a combination of ascorbic acid and citric acid would be ideal, but we haven’t yet seen reports of anyone testing that to see if it would be effective, and if so, in what ratios and for what soaking times. We note, however, that Ball / Bernardin Fruit Fresh (mentioned above under Ascorbic Acid Mixtures) already contains a mixture of both ascorbic and citric acids. Drying Fruits. Kendall, P. and J. Sofos. Colorado State Extension. Fact Sheet No. 9.309. June 2012. Drying Fruits and Vegetables. Swanson, Marilyn A. et al. Pacific Northwest Extension. PNW 397. Third edition, 2009. Home Dried Fruit. Litha Sivanandan. West Virginia University Extension Service. FH17-133. May 2017. How to Dry Foods at Home. University of Missouri Extension. GH1563. Revised May 2015. 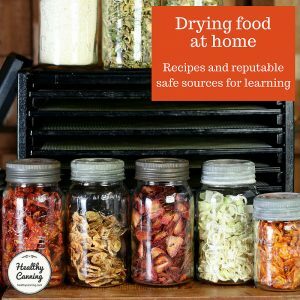 Preserving Food: Drying Fruits and Vegetables. Harrison, Judy A. and Elizabeth L. Andress. University of Georgia Cooperative Extension Service. FDNS-E-43-10. July 2000. 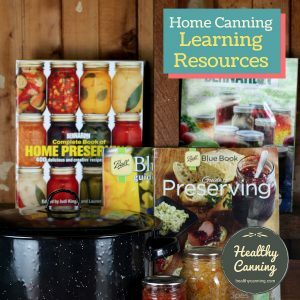 Pretreatments to Prevent Darkening of Fruits Prior to Canning or Dehydrating. Washburn, Carolyn and Christine Jensen. Utah State Extension. June 2017. Pretreat Fruit before Drying. University of Tennessee Extension. 1. ↑ Andress, Elizabeth L. and Judy A. Harrison. So Easy to Preserve. University of Georgia Cooperative Extension. Bulletin 989. Sixth Edition. 2014. Page 337. 2, 3, 4, 38, 41. ↑ So Easy To Preserve. Page 340. 5. ↑ Excalibur. Preserve It Naturally. Sacramento, California. 4th edition, 2012. Page 24. 6. ↑ Brennand, Charlotte P. Home Drying of Food. Utah State Extension. 1994. Page 9. 7. ↑ Swanson, Marilyn A. et al. Drying Fruits and Vegetables. Pacific Northwest Extension. PNW 397. Third edition, 2009. Page 11. 8, 16. ↑ So Easy To Preserve. Pp 337 – 338. 9. ↑ Brown, Darlene G. and Kenneth L. Brown. Drying for Fun and Health. Xlibris. 2007. 10. ↑ Hobson, Phyllis. Making and Using Dried Foods. North Adams, MA: Storey Publishing. 1994. Page 18. 11. ↑ Preserve It Naturally. Page 24. 12. ↑ Ball Blue Book. Muncie, Indiana: Healthmark LLC / Jarden Home Brands. Edition 37. 2014. Page 162. 14, 17, 21, 24. ↑ Preserve It Naturally. Page 22. 19. ↑ How to Dry Foods at Home. University of Missouri Extension. GH1563. March 2010. Page 1. 20. ↑ So Easy To Preserve. Page 338. 22. 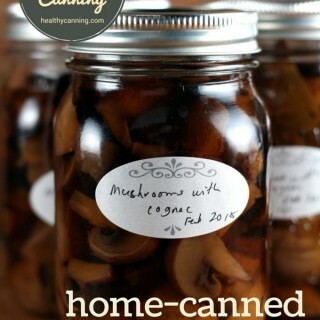 ↑ Preserving Food: Drying Fruits and Vegetables. Harrison, Judy A. and Elizabeth L. Andress. University of Georgia Cooperative Extension Service. FDNS-E-43-10. July 2000. Page 3. 23. ↑ How to Dry Foods at Home. Page 2. 27. ↑ Ball Blue Book. Page 162. 28. ↑ Drying Fruits and Vegetables. Third edition, 2009. Page 7. 29, 30. ↑ Washburn, Carolyn and Christine Jensen. 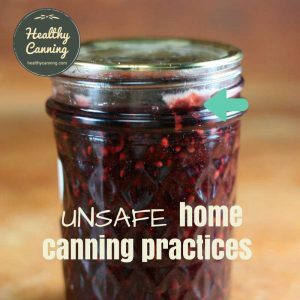 Pretreatments to Prevent Darkening of Fruits Prior to Canning or Dehydrating. Utah State Extension. June 2017. Page 1. 31, 52. ↑ Drying Fruits and Vegetables. Page 7. 32. ↑ How to Dry Foods at Home. Page 1. 33, 35. ↑ So Easy To Preserve. Page 339. 34, 37, 40. ↑ Preserve It Naturally. Page 23. 36, 43, 44. ↑ Home Drying of Food. Page 9. 39. ↑ Making and Using Dried Foods. Page 18. 42. ↑ Austin, Joanne, et al. Dehydrating. WSU Master Food Preservers. Washington State University Extension. Skagit County. October 2007. 45, 48. ↑ Making and Using Dried Foods. Page 17. 46. ↑ Sivanandan, Litha. Home Dried Fruit. West Virginia University Extension Service. FH17-133. May 2017. Page 3. 49. ↑ Marrone, Teresa. The Beginner’s Guide to Making and Using Dried Foods. North Adams, MA: Storey Publishing. 2014. Page 25. 50. ↑ Kendall, P. and J. Sofos. Drying Fruits. Colorado State Extension. Fact Sheet No. 9.309. 2012. Page 1. 51. ↑ Drying Fruits and Vegetables. Page 6. 53. ↑ Drying Fruits and Vegetables. Page 8.